I don't know why, but I recently realized that I need to start taking better care of my skin. I know, I am a little slow to the game. I used to always think that I would get a head start on preventing wrinkles before I got too old, but here I am at 34 just starting to think about my skin, and those pesky wrinkles have already started creeping in. Don't worry I am not obsessed with staying young. I know my body will fade no matter what I do, but I would like to age gracefully if at all possible. If you have read my blog long enough you know that my husband is a beekeeper and I...well... I help eat the honey and try to find useful ways to use honey and beeswax in our home. I am in no way an expert on skincare and anti aging treatments but just like you I can google just about anything and find out what I am wanting to know. 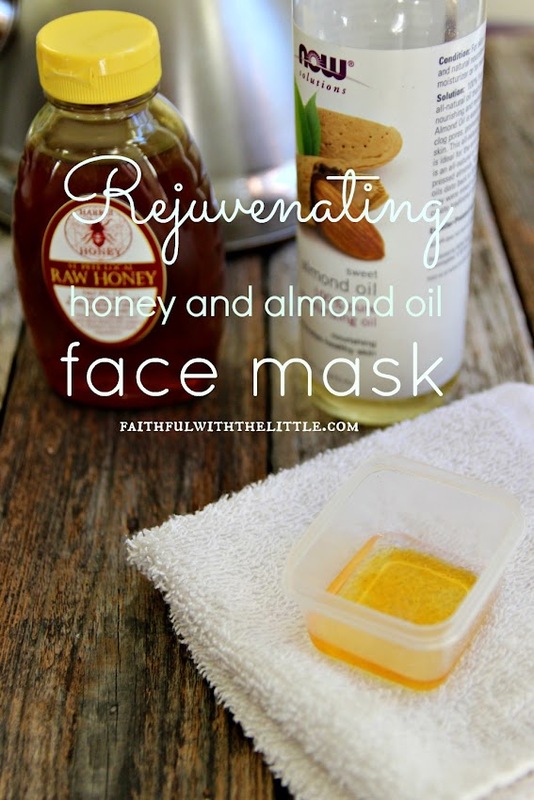 Through a little experimenting I started mixing honey and almond oil and applying it to my face almost every day. That's pretty much it! I kind of feel silly writing a post about it because I really didn't discover anything new or come up with some amazing concoction. But you know what? I love when others share what they are doing to stay healthy and take care of their bodies, so why not!? I am not sure what led me to put the honey and almond oil together. I think just had a ton of honey on hand(of course) and some almond oil and thought, "Why not, they both are really good for your skin!?" So here's the skinny on these two healthy powerhouses. I want to clarify that our honey is raw honey. So don't just think any honey you buy off the grocery shelf will be the same, because it's not. Raw honey has not been heated, pasteurized, or processed; preserving all it's natural enzymes and phytonutrients and natural vitamins. I don't know about you but the benefits of using honey and almond oil for skin together just seem to make sense to me! Mix about 1/2 tsp. raw honey and 1/2 tsp. Almond oil together. (I put in a small container and it usually lasts about a week for me. )Slather on face. Let sit for 10 to 30 minutes. (my mornings are crazy so I end up letting it sit on my face for about 10 minutes) While it's soaking into your skin heat some water up. I usually use the water I have been heating up for my tea or coffee in the morning. Before it gets too hot pour the water onto a washcloth. You want it hot but not too hot to where it's going to burn you. After the honey and almond oil has done it's job, cover your face with washcloth. Ahhhh.... Let it rest on your face a few minutes and try to relax and enjoy it... if you can. Rub all over face, cleaning all the honey and almond oil off. You're done! I love doing this at the start of my day and then applying my make up afterwards. Immediately after doing this I can see how my pores have gotten smaller and cleared up and it feels amazing! This mask has now become part of my morning skincare routine that I look forward to every day. Not only is it doing good things for my skin but it also leaves my face feeling rejuvenated and moisturized; something I think we all want for our skin no matter how old we are! What have you found that helps your skin stay healthy? Oh, I love this! I can't wait to try it out! I have, oh, zero skin care routine, but I know I really should have one. This looks almost decadent! Oh good! It really is so easy but makes you feel like you are pampering yourself! OOO I am going to have to try this. 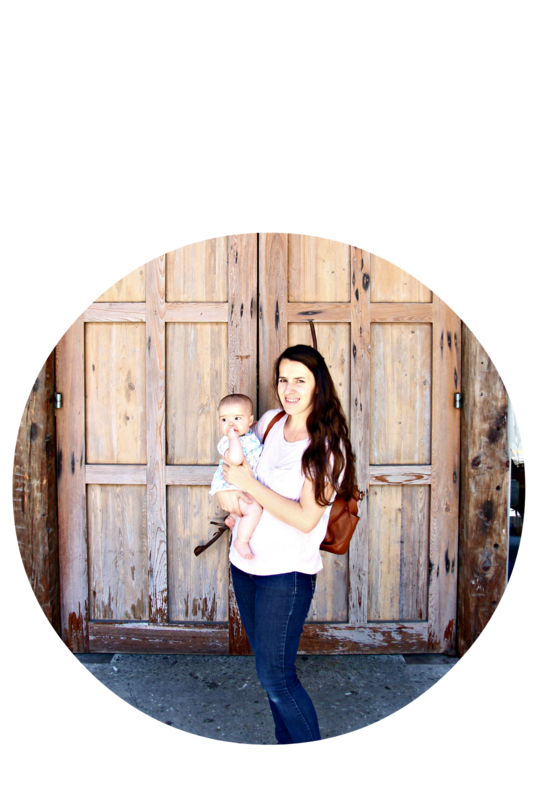 THanks for linking up with us at Family Joy Blog Link Up. Will have to try. I recently used raw honey to treat a zit on my face that I picked. It didn't look pretty at all. I was amazed at how the honey healed my skin! !